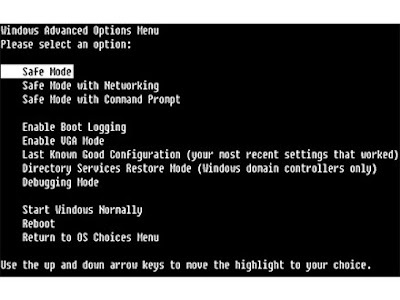 How To Disable Safe Mode ? All of you know to use the F8 key to enter the Safe Mode, but most of us don’t how-to-install-windows-vista-sp2/">know to disable the F8 key while booting the system to enter the Safe Mode as we feel that it is not such an important thing. But it is more important to prevent our system for strangers. There are two methods available to disable the safe how-to-filter-comments-in-youtube/">mode option; first, one is HexEdit method, which can be used from hidden NTLDR file in the root of the drive where the operating system is installed. The main thing to be noted about this method is, it is supposed to work with only how-to-manage-virtual-desktops-in-windows-xp-and-vista/">Windows XP and it won’t support some-usefult-tips-for-windows-vista/">Windows Vista. •If you have installed the operating system in Windows in C drive, just type this command in run menu attrib -r -s -h -a c:\ntldr. If you have installed the Operating system in D drive, how-to-disable-the-orkut-themes-in-greasemonkey/">change the command to d:\ntldr. •Then backup the NTLDR file in C drive with another name. You can do that by copying and pasting to the same location to get a new file “Copy of NTLDR”. •Download this free portable HexEditor. •Extract the HexEdit.exe and run it. •Then go to file > how-to-disable-thumbnails-in-new-google-chrome-window/">Open and choose C:\ drive on the right hand side and look for ntldr file on the left box. Select the ntldr file and click OK.
•Scroll down and look for the line 00000770 and change the values 0f 85 09 to 90 90 90. •Then type this command attrib +r +s +h +a c:\ntldr in Run menu. Before you are doing this, you have to remember that you can't how-to-create-custom-views-for-vista-error-logs/">access the keyboard; therefore, you can’t select an operating system from multiple Operating systems. If you want to enter the safe mode, use windows installation disc for recovery console and rename the “how-to-fix-firefoxexe-error-in-firefox-browser/">Copy of ntldr” file to ntldr. This way you can use the F8 key again. If you want to disable the F8 key in Vista, there is a shareware available called NoSafeMode that can disable F8 Safe Mode and Advanced use-startup-manager-to-edit-boot-menu-in-ubuntu/">Boot Options in Windows 2000, XP, Vista and error-haldll-an-important-message-to-be-noticed/">even the upcoming Windows 7. This tool works without any hack or modification of operating system files and registry. Moreover, this tool brings a apply-password-to-your-files-in-seconds-with-empathy/">password option to you to let only authorized users use it.